For over 30 years the Honda Civic has been Hondas mainstay in the small car class arena. 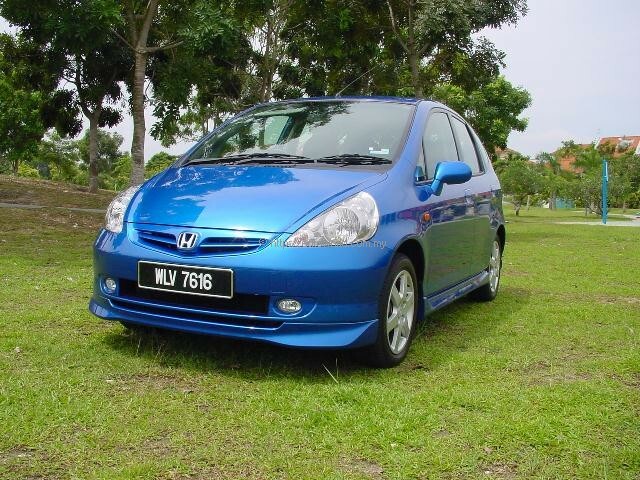 I remember back then most households in Penang would have owned a Honda at one stage or another. They were fuel-efficient and commanded a high resale value. 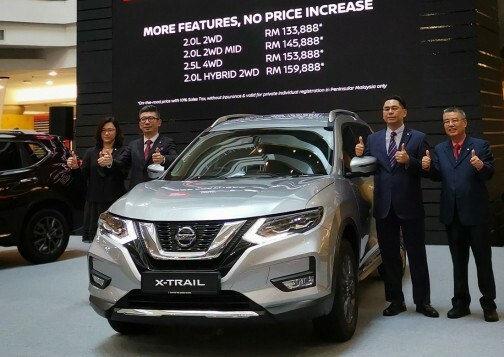 A comment from one of the car salesman back then was that if you could sell it in Penang you could sell it anywhere, obviously implying that we Penangites have a keen eye when it comes to value for money. The first Honda I ever sat in was a Honda 1300 Sports, a sporty fastback two-door coupe. Back then this little Honda boasted a dry sump and an all-alloy 4 cylinder engine block. The engine breathed through 4 little Keihin carburetors, could rev up to 9,000 rpm, and went like a rocket. The main and conrod bearings were fitted with roller-bearings to take the high rpm. Only a few were brought into Malaysia for evaluation purposes. Originally starting out as quite a cheap and compact vehicle, the Civic has evolved over the years into a physically larger vehicle that not only offers more room, but it as a natural result, it also became more expensive. 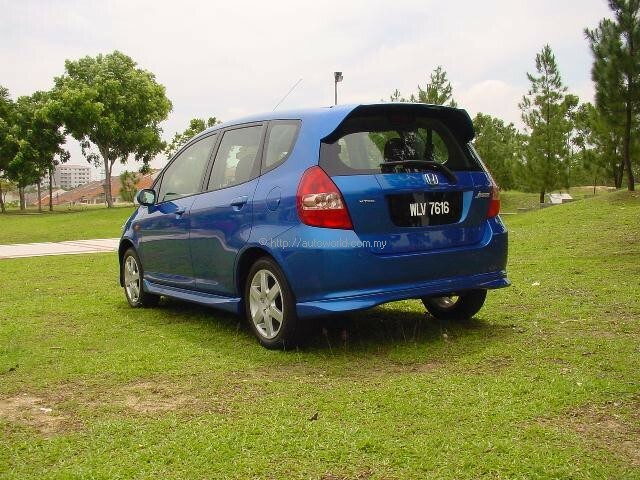 This opened the way for Honda to introduce a new entry-level model called the City, and from the City platform came the MPV-like Jazz. 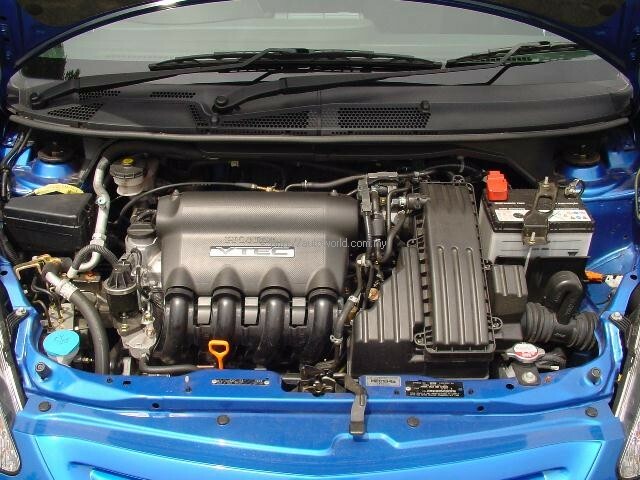 Originally introduced here a year or so ago in 1.4 litre form, the Jazz featured CVT (Constantly Variable Transmission), known for its super smooth gear changes, and an economy-biased I-DSI engine that had twin spark plugs to prolong the ‘burn’ in the cylinders for improved fuel efficiency. Following in the wake of the launch of the 1.5 litre Honda City, it was a natural move to incorporate the larger engine into the Jazz, not only to give it more grunt, but to make it easier for parts stocking as well. To make things a little more exciting, and in response to requests form customers all over, Honda decided to jazz up the Jazz with a VTEC version, and the result is that customers who buy the Jazz now have the option of taking the fuel-efficient 88ps, 1.5 litre I-DSI variant or the snazzy 110ps VTEC. Maximum torque on the VTEC engine is marginally higher at 143 Nm, peaking at 4800 rpm as compared with the i-DSI engine at 2700 rpm. Translated into real world terms, these figures imply that the I-DSI engine is very at home when driving in city traffic while the VTEC engine thrives when pushed hard. Built in SOHC (Single Overhead Camshaft) configuration, the VTEC system is Honda’s very own variable valve timing system. 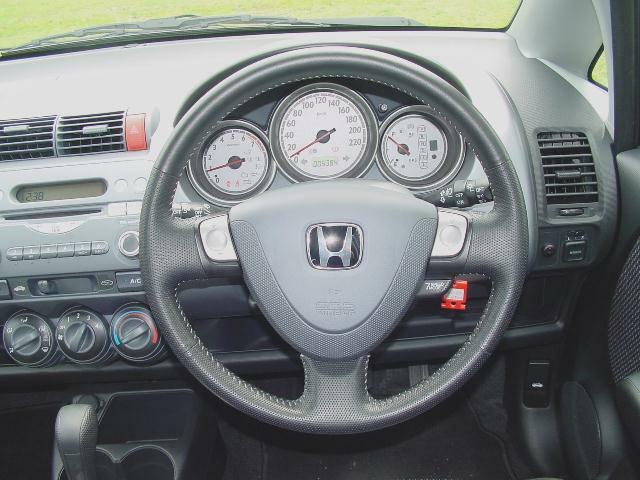 Matched to the CVT, the Jazz VTEC responds very well to throttle. About the only time that a real lack of bottom-end urge is noticeable is during steep hill-starts. The power and torque graph clearly shows that 2500 rpm is needed before the engine really ‘comes on cam’. Maximum power occurs at 6000 rpm but the engine pulls strongly to the (soft) rev cut at an indicated 6700 revs. In our testing, we managed a zero to 100 kph time of a little over 10 seconds with the transmission in manual mode. In auto mode, the initial ‘lag’ in the transmission adds on a couple of seconds. the light and small car market segments. The Jazz VTEC boasts a sportier styling from with the Honda Modulo body kit. Apart from that the overall packaging remains the same as the i-DSi version with space utilization being a key forte. 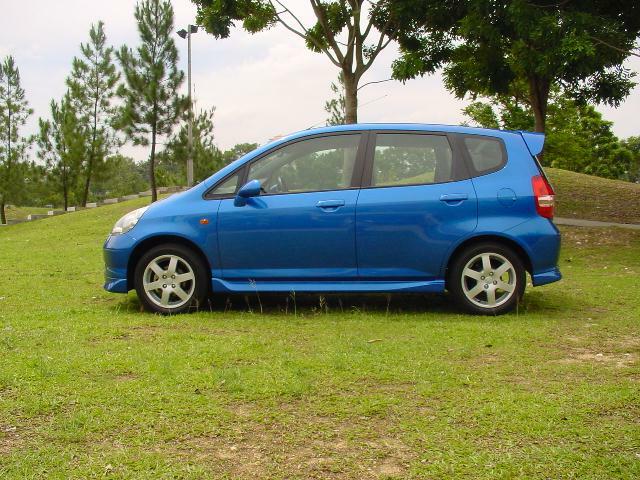 The Jazz VTEC should appeal to the young buyers looking for a sportier trendy city runabout. The overall styling package proved itself to be a head turner everywhere we went. 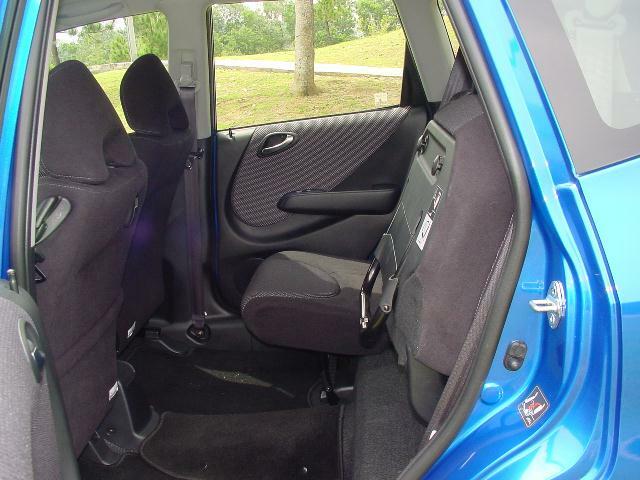 The Honda Jazz VTEC is equipped with a fairly good array of standard safety and comfort features. Electric power steering, driver and front passenger airbags, central locking, power windows and mirrors, engine immobiliser, anti-lock brakes (ABS) and a 60/40 split-folding-rear seat, air conditioning and sports interior front and rear spoilers, side skirts, 15-inch alloy wheels, fog lamps and a leather trimmed steering wheel. The Jazz is a practical and functional vehicle with a short nose design that makes efficient use of its compact dimensions. The styling is pleasantly modern and not dissimilar to other high roof offerings from other manufacturers locally in recent times. 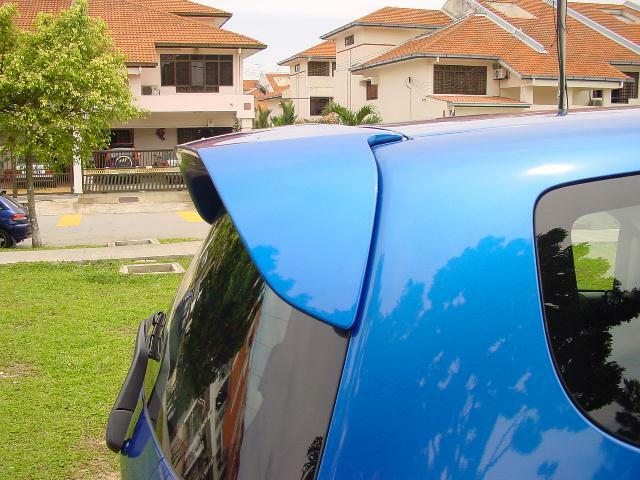 However, some clever design features do set the Jazz apart from most other rivals. Removing the fuel tank from the rear of the vehicle and locating it beneath the front floor has allowed the Jazz to have quite a low and flat floor, thereby maximising passenger and load space. To take full advantage of the space available, the rear seating offers a particularly flexible arrangement that can be folded into three distinct positions with a minimum of fuss. An Ikea friendly vehicle. 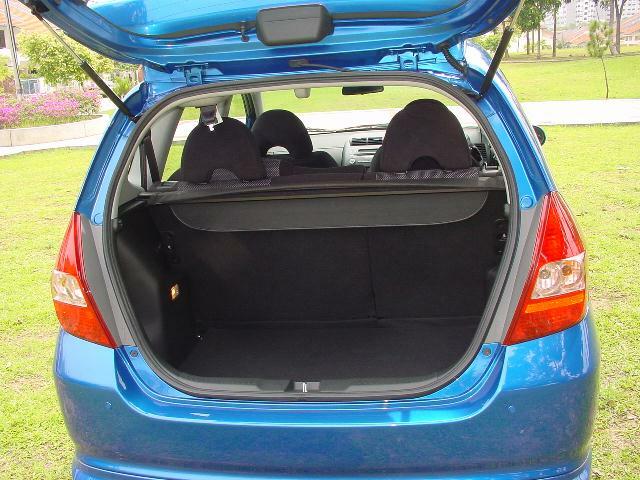 With quite wide opening front and rear doors, access into and out of the Jazz is a simple affair. The seats are well shaped, comfortable and offer an adequate level of support but a bit on the firm side for my tastes. The reasonably upright seating position and short bonnet give an excellent view of the road ahead which assists in making the Jazz an easy vehicle to drive. aluminium coloured bezels lit with an orange glow at night. A combination of rotary and push-button controls are located in the centre of the dashboard; these are clear and easy to use. I did find the absence of a engine temperature gauge a bit uncomfortable. This function has been taken over by an ‘idiot’ light in the meter cluster. When cold, a blur light is seen, and this goes off when the engine is warmed to operating temperature. If the engine overheats, a red light comes on. 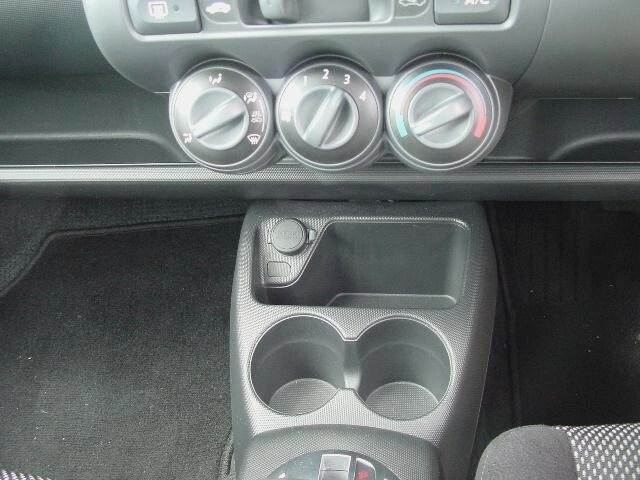 The CD radio player is built into the middle portion of the dash. This will be a blow to the audio hi-fi buffs as there is no room to upgrade. Having said that, the original system supplied does have exceptional sound quality. Clever use of plastics can be seen all over the dashboard. 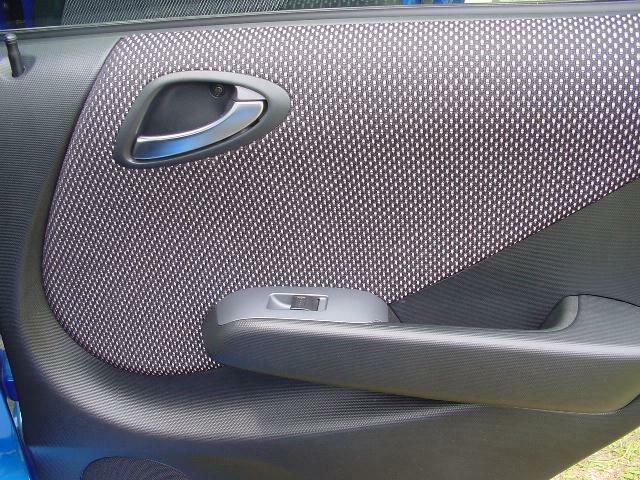 I did find that the grey plastic finish around the ignition and instrument binnacle area to be very susceptible to scratches. Not good for those who need to carry around a bunch of keys together with the car keys. With the overall large glass surface area around the front and sides of the Jazz it does get a bit warm sitting in mid day traffic. I am sure the window tinting business will find this a business opportunity. On the topic of visibility, there are thick A-pillars and the over-the-shoulder rear three quarter vision is quite poor. The Jazz is particularly well suited to negotiating typical urban traffic conditions as all the controls are very light and positive in their operation. 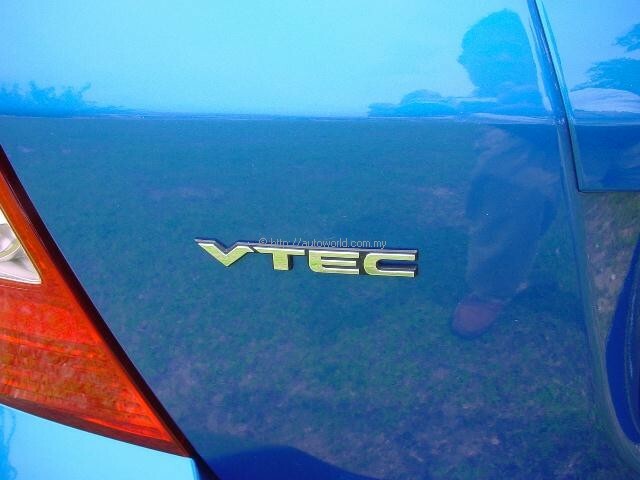 For a small car that weighs a little over a tonne, the VTEC provides spirited performance around town. Step on the throttle when the lights turn green, and you will be rewarded with a surprising turn of speed. Gear changes in the CVT are far smoother than a conventional auto transmission and the performance is impressive to boot. This intriguing new technology is fast becoming the new catch-cry of manufacturers everywhere, and Audi already have a six-speed version in its 1.8 Turbo. Fuel Consumption in City cycle is 6.0-litres/100km and the highway cycle is 5.2-litres/100km. 0-100 km/h in 10 seconds. We achieved a top speed of 180km/h, very impressive for a 1.5 litre engine. At highway speeds the cabin tends to suffer from some resonance that could be suppressed with some additional sound insulation. Due to the high sides on the Jazz it does lend itself to buffeting from cross winds on the highway and when being passed by large buses or lorries. The ride and handling are heavily influenced by the wheel/tyre combination used – 15 x 6J alloys with 185/55 Bridgestone RE040 Potenza tyres. 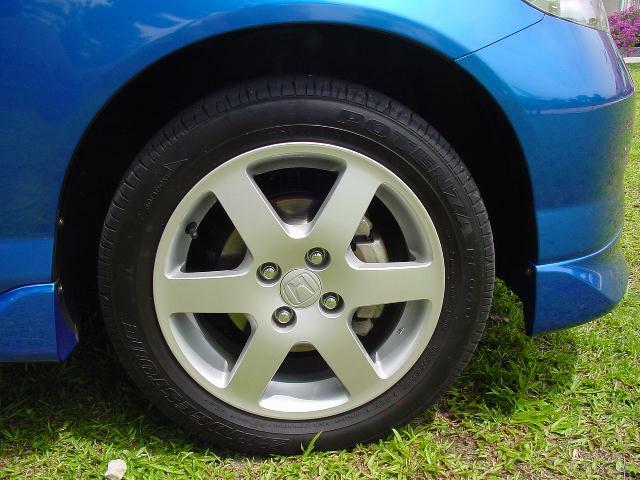 Quite a lot of tyre harshness gets through to the cabin, and the ride – especially at lower speeds in the city areas – is firm. The Jazz is one of a number of Honda models to use an electric power steering set-up. The system is speed sensitive and offers light work to parking. I would have preferred a bit more feel from the steering at speed especially on the highways. The electric power steering marginally reduces fuel consumption. With what can only be described as a physics-cheating turning circle (9.4 meters), the Jazz goes where very few subcompacts can. Parking is a breeze. The brakes were also up to the task of hauling the Honda in quite briskly, and provided good bite with little evidence of fade, even after a day’s hard motoring. The only complaint I would have with the brakes is more a fault of the car’s balance and light weight. Sometimes the rear end would lack grip under heavy braking (due to a shift in weight to the front end) and roll slightly from right to left. Even so, the chassis is well up to the task of more ‘spirited’ driving and will likely win over many of the Boy Racers out there. Before spending time with the Jazz, my expectations weren’t what you’d call rosy. I knew that Honda’s proficiency with engine technology would mean the marque’s new small car would be quick, but I never guessed that it would be a complete package, with the theatric seats, the CVT and the high quality interior materials used. It’s obvious that Honda is serious about the small car segment and that it’s updated Civic was leaving this segment open. It’s a joy to drive around town, with awesome visibility provided by the massive windscreen. The Jazz VTEC has redefined the standard in the sub-compact class particularly in terms of performance, standard features and general production values. While not everyone will warm to the sporty suspension tuning, the major target market for this model is the young and trendy, so perhaps this will even work in Honda’s favour. However the pricing of the Jazz may not be in its favour as it is much more expensive then the Honda City, a common sight on our roads today. But if you are in the market for something different, stylish with a good fuel consumption and performance to match, add to that a fancy gearbox, solid ride and handling, and an interior that will impress with its versatility then you can’t go wrong with the Jazz VTEC. I had a lot more fun in it VTEC than I ever thought I would. In Japan the Jazz is the fastest-selling Honda in history. I can understand why – this is a brilliant small car in a field where major and real advances are being steadily made.